Sometimes I just have to share, and I thought I would share a few experiences from the past week that you could enjoy (mainly images) while waiting for that little thing to pop out on your Butterball Turkey telling you it is done. If you do not make it to the end of the post (but you had better), may I wish you a very safe and happy Thanksgiving Day. 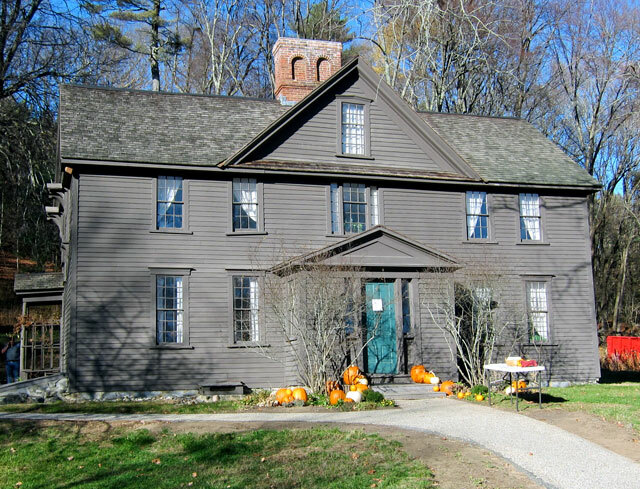 On Tuesday the 17th, it was back to Concord, Massachusetts, to see a special exhibit at Louisa May Alcott’s Orchard House where she wrote LITTLE WOMEN. Remember the trip there with friends this July 30th? Arriving in Concord with friend and neighbor Kathy, I turned down the side street looking to see what eateries may be there. We parked, and spent a great, unplanned next 1 1/2 hours in antique shops – Kathy is the premier antiques dealer in the state. We asked several people for lunch recommendations, and when I was feeding the parking meter, she asked a gentleman on the sidewalk, who looked like he enjoyed his meals, for a recommendation. 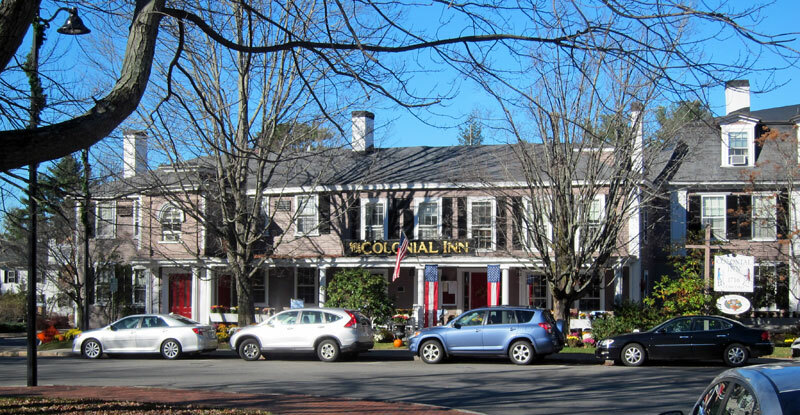 We got in the car and headed to the COLONIAL INN on the square a few blocks away. 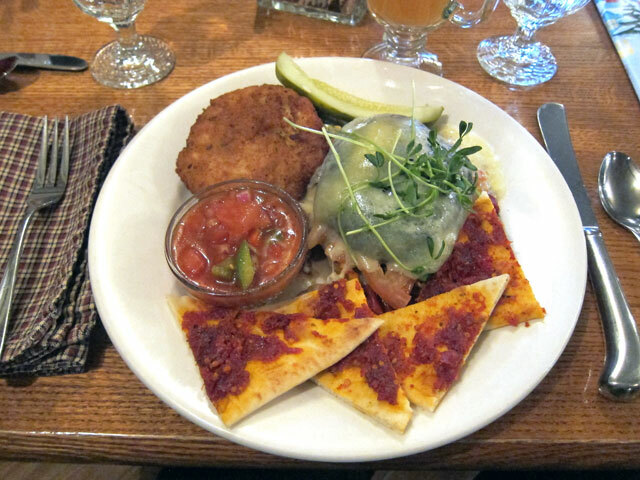 My Lunch – THE ALCOTT – of course. Turkey, et al. Sitting room off the guest registration room at the COLONIAL INN, Concord. Looking off the porch to MONUMENT SQUARE, Concord, Mass. It was then onto Orchard House. It was terribly hot there in July, and crowded. This time we almost had the tour to ourselves, but another couple arrived at the last moment. 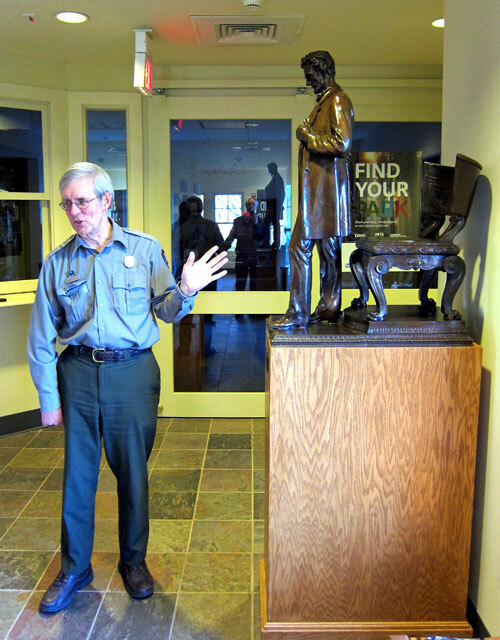 We still had an extended tour and opportunity to look at the special displays in each room of objects, illustrations and photographs that were used in the new ANNOTATED LITTLE WOMEN by Pulitzer Prize winning author John Matteson. It was time to head home since Kathy’s husband, Eno, was going to have dinner ready for us. 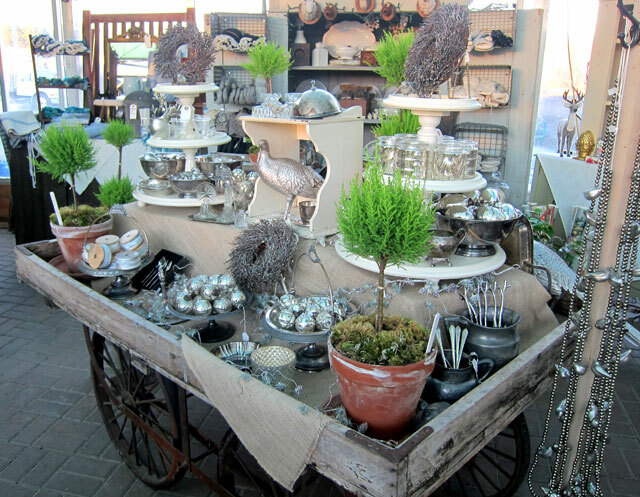 Kathy had once stopped at what she called a fascinating farm stand with special antiques and gifts. I googled and searched, and finally narrowed in on it — Spring Brook Farm in Groton, Massachusetts. One display of fruits and vegetables. One of the displays of fascinating gifts, and very reasonably priced. 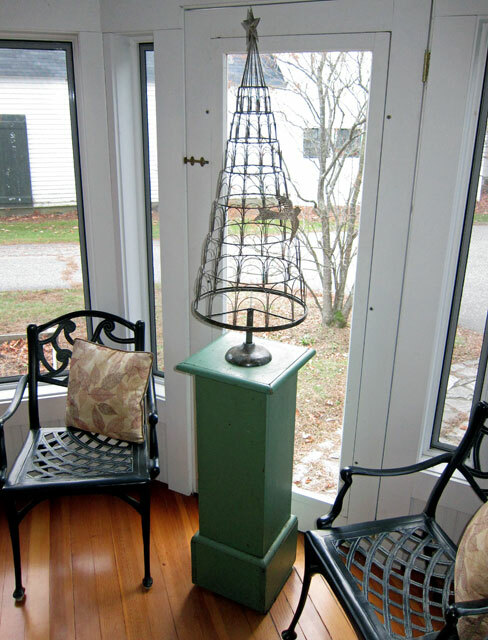 And, when I saw this pedestal and wire tree – it spoke to me, “take me home.” And, I did. Now the fun will begin decorating. The next day, Scott and Betty arrived for a visit. Over 20 years ago, Scott and my Cathy worked together, and when on Lotus Development Corporation sponsored trips, Betty and Cathy shopped together. The type of friends who, if you have not been in the same room for two years, when you get together it is like yesterday. Since retiring in their early 50s a few years back they have travelled the country in their Airstream, and are now volunteers in the National Parks. And, we always “play” hard! 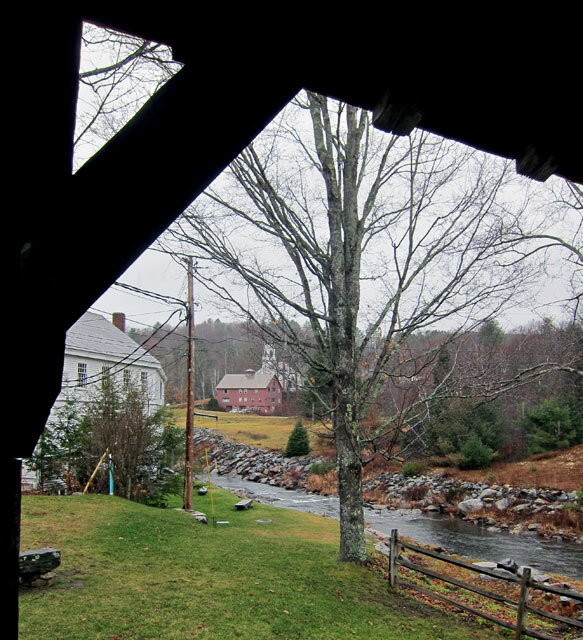 Thursday was a dreary day, but the plan was to visit the Vermont Country Store in Weston, VT, and then meander on back roads to Brattleboro, and then over to see the CRUCIBLE performed in Keene following a Mexican dinner. When I was in Weston on the walking tour on August 8th, I vowed to return soon to visit their museums. As we entered the village from the north I saw the door open on the Old Mill Museum. That necessitated a quick stop. 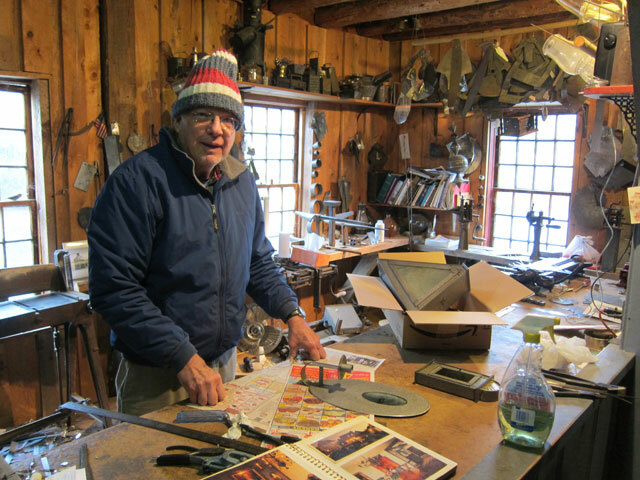 What luck, we discovered that the tinsmith, Dave Claggett, was gathering some things in his shop for a show, but we explored before chatting with him. 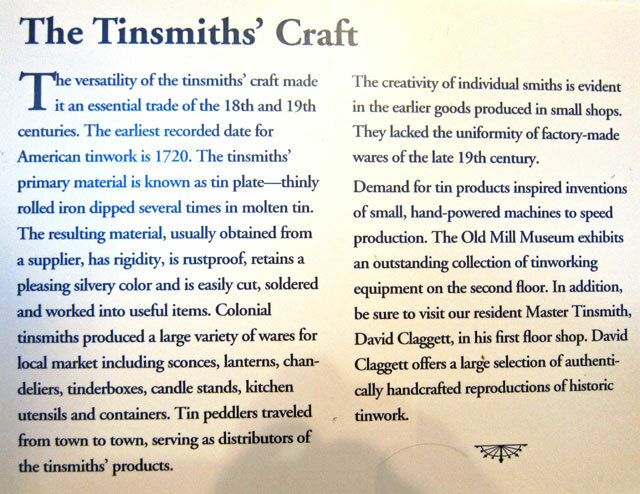 Dave Claggett, resident tinsmith in Weston. Up stairs in the Old Mill Museum looking at the pieces of equipment. And, looking back the other way. Here are molds for weaving baskets around. I never knew! OSHA would absolutely love this massive band saw with blade fully exposed. Saw mill run by the water wheel. Fascinating machine to make shingles. I must return to see how it operates. By now you know I love “hit and miss” engines. Waterfall study through an upstairs window. WATERWHEEL (restored). A fascination since my 5th grade science fair project. And, this view is looking off the porch of the mill south. The back of the Weston Playhouse is the white building on the left. 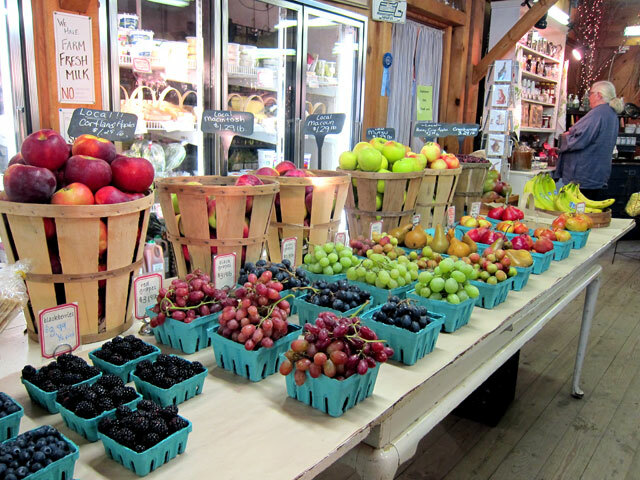 And, the next few hours were spent in the Vermont Country Store, which you know I visit many times a year. It is always different, nostalgic on many levels, and great fun. How can you not get into the holiday spirit? A “new” “old” country store display I had not seen before. And, if you follow my travels, you know I sat here and chatted in 1963 with Vrest Orton, the founder of the store in 1946. Yes, that spot is one of the “Holy Grail” points in my life, and what amazes me are the threads that have run though me since childhood. Everything I do and enjoy today (including shunpiking) I can trace back to my teens and pre-teens (even trying to print a newspaper on my 3×5 Kelsey Printing Press). Grilled portabella mushrooms served open-faced with roasted red peppers, , and assorted seasonal veggies, topped with The Vermont Country Store Cheddar and organic pea greens, served on flatbread points with sun-dried tomato spread. In their travels, Betty avidly collects stamps in her bulging National Parks Passport. But, on our last visit to Saint Gaudens she did not have her passport with her. 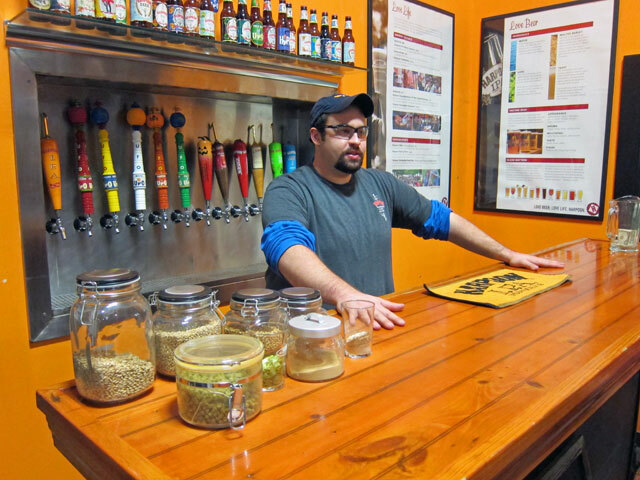 And, most of their travel blog posts end with an image of the craft beers they are sampling. 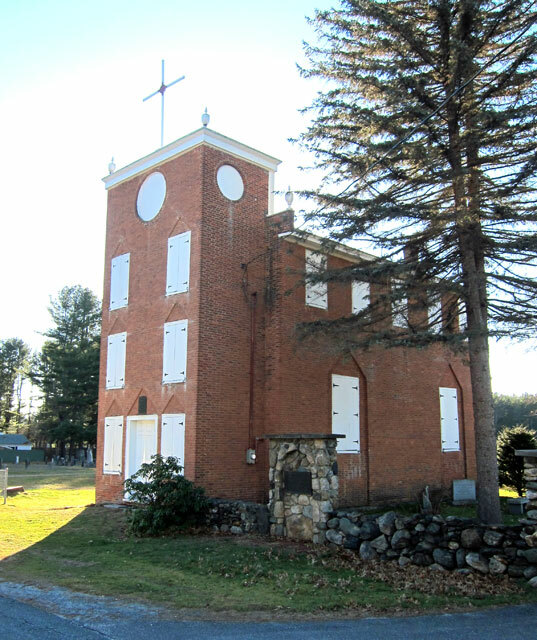 So on Friday we headed north — yes, to Cornish, NH, and to Windsor, VT.
On Route 12A, west of downtown Claremont, I have always passed a NH Historical Marker pointing to the east, but surprisingly never made the turn. This time we did. 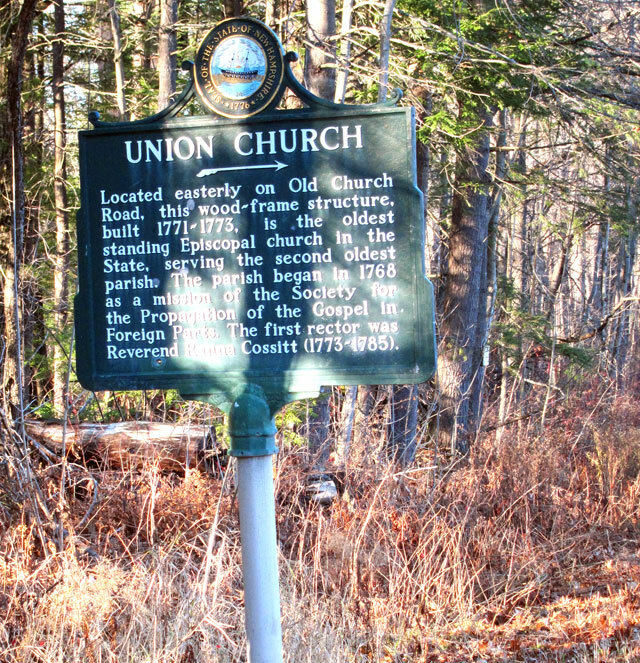 We followed the little road heading to the UNION CHURCH, the oldest standing Episcopal Church in the state, built from 1771-1773. 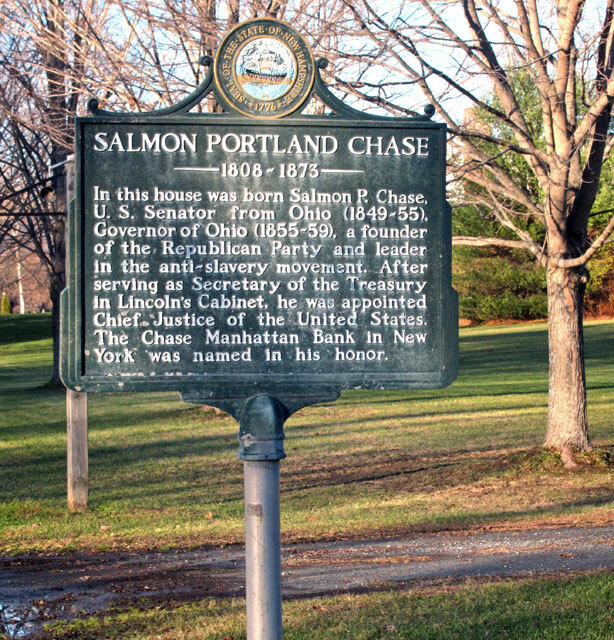 Salmon Chase. Years ago when this was a B&B, Cathy and I stopped for a tour inside, but also to walk around the outside of the building. It was this stop that convinced us to remove all the recent shrubbery from my 1806 colonial to make it more appropriate. And, then we arrived at St. Gaudens. Only the grounds and visitor center were open, but Betty got her passport stamp. Then Gregory, the park’s head of interpretation came out to greet us. I always see him on my visits, he is amazingly friendly, everywhere, and as we learned extremely knowledgeable. We watched the introductory movie, but first he told us about this model of Standing Lincoln. 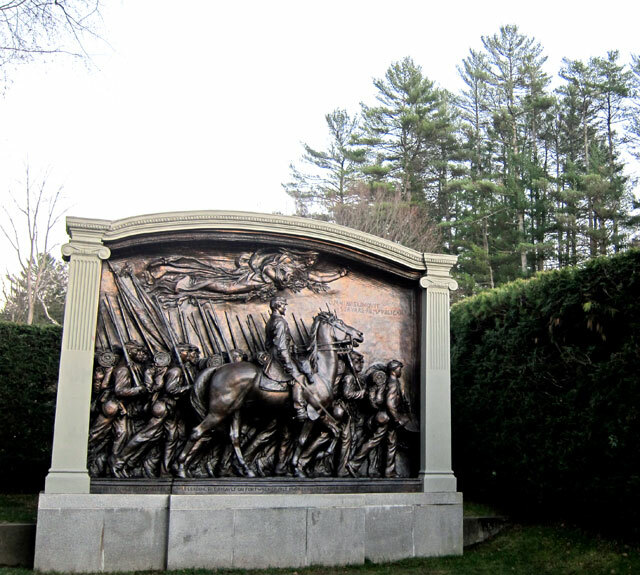 Gregory told us the amazing story of the Shaw Memorial (on the Boston Common) that Augustus Saint-Gaudens took 14 years to complete. Well, he was pushed to “finish” it for installation at Boston, but was not pleased with it. He continued to rework it, and his final work was later cast in bronze to be exhibited on the grounds here. Betty and I were both trying to get the full moon in this shot. And, heading down to the parking lot, here is their home, Aspet, built in 1817, and the “new” studio to the left rear. The sun was almost set. Back down Route 12, right across the Connecticut River on the longest covered bridge in America, and north on US 5 to — HARPOON BREWERY. 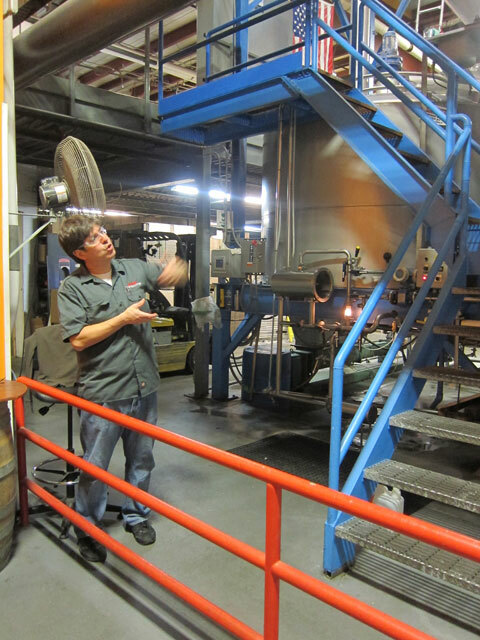 Tours are only given Friday evenings, and Saturday and Sundays when the brewery is not in full operation (hey, the stuff in the tanks do their own thing 24 hours a day). You know my timing, we arrived moments before the first tour began. What amazed me is that after the introduction we were toured throughout the facility. No marked pathways, no barriers, just the guide and us with glass in hand for sampling. And, at the end it was time to have something to eat in the restaurant, and have some beer. Over 20 different varieties, and we learned (at least I did) that just with mixed drinks there are different style and shaped glasses to accentuate the taste and aroma of the brews. And, here is Betty getting ready to take her image. 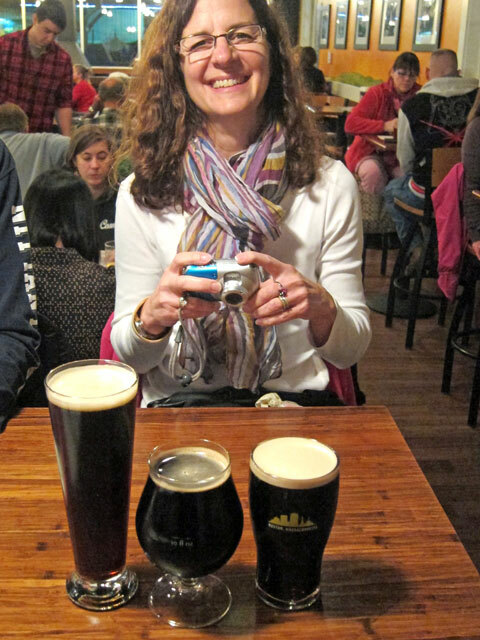 As I said, many of their travel blogs end with their topped off glasses. Their signature. 1] Explore all Weston, Vermont, has to offer. 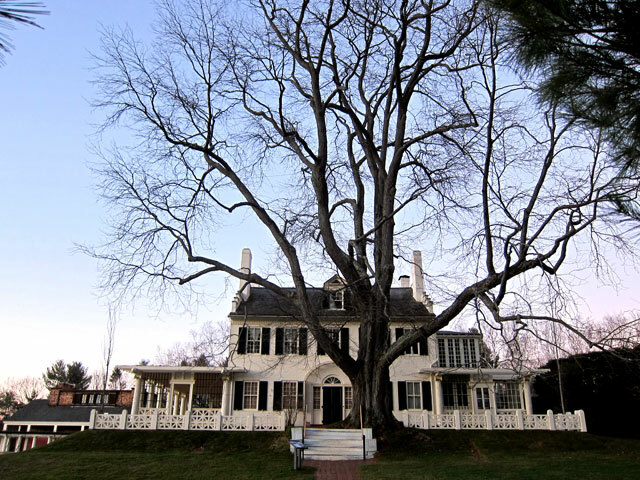 Their museums, the Vermont Country Store, and eat at the Bryant House. 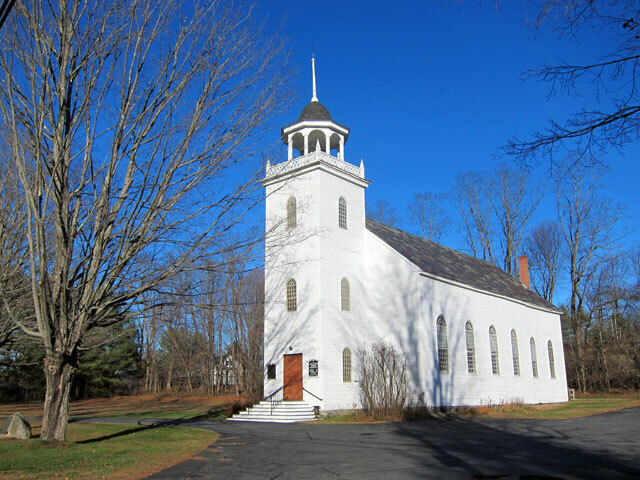 2] I have said it before — ST. GAUDENS, but now you also have to explore Old Church Road in Claremont. 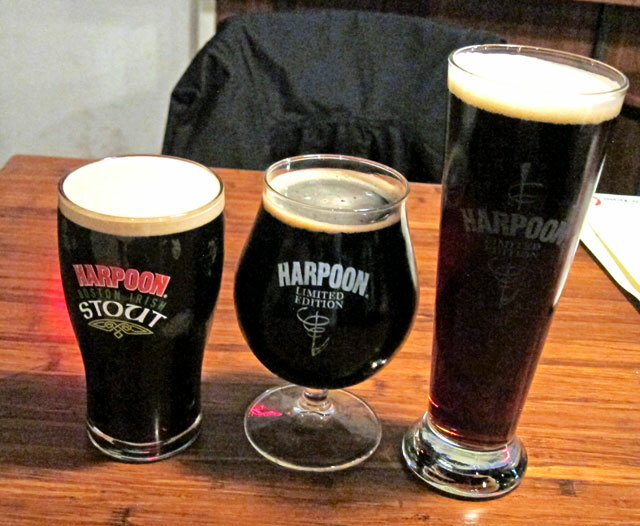 3] Even if not a beer drinker, enjoy the Harpoon Brewery tour, and grab a bite to eat there. Have enjoyed doing that twice this year. This entry was posted in Day (or maybe two) Trips, Saint Gaudens, Cornish, New Hampshire and tagged Bryant House, Colonial Inn, Concord, Cornish, Harpoon Brewery, Louisa May Alcott, Massachusetts, NH, Orchard House, St. Gaudens, Vermont, Vermont Country Store, Weston. Bookmark the permalink. 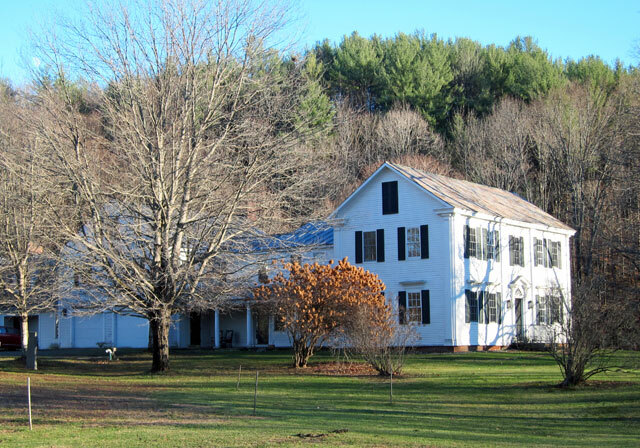 Weston!—I’ve enjoyed the VT Country Store AND a few lunches at the Bryant House, so, yum!—I know what you mean. Glad readings, Ray—nice to travel to all these sweet New England niches vicariously for now! grounds/gardens is one of my favorite places to take out-of-area visitors. Has an unsurpassed view of Mt. Ascutney as well! Cheers! Thank you, as always, Jim, for taking the time to read, and sharing your supporting comments. So many of the buildings I find I wish I could get inside. Based on what you share, I will have to get inside the Union Church. And, yes, I too share St. Gaudens often with friends. Or just stop with a picnic when “shunpiking”by.